Further, Amit Shah also termed the Mahagathbandhan, a leaderless alliance. "How can they form a strong government," Shah questioned. 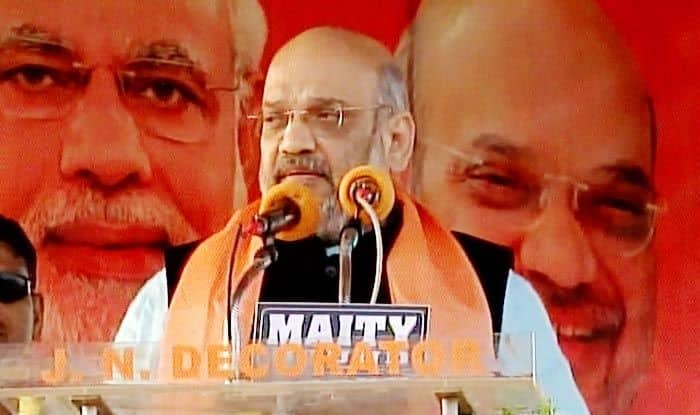 Bhubaneswar: Bharatiya Janata Party (BJP) President Amit Shah on Tuesday launched a scathing attack on Odisha Chief Minister Naveen Patnaik saying that despite receiving huge funds from the Centre, the state continues to remain backward owing to “inefficiency” and “inaction” on part of the ruling Biju Janata Dal government (BJD). “Poor people of Odisha are unable to benefit from the schemes of Central government because of the narrow mindset of Odisha government. Odisha government refused to join Ayushman Bharat as they fear that if this Yojana is implemented then PM Modi will become popular here. We have hard-working people and resources in the state but the state is still not progressing. This is because of the Odisha government,” the BJP leader said. Shah also came down heavily on the Congress, saying, “Congress ruled for decades but poor did not get the basic amenities such as gas connections, electricity and medical facilities. Under the UPA government, the 13th Finance Commission gave only Rs. 79,000 crore to Odisha while, in the 14th Finance Commission, the BJP led government gave Rs. 2,11,510 crore for the development of Odisha,” while applauding the current Central government for working towards the welfare of the state. Further, Amit Shah also termed the Mahagathbandhan, a leaderless alliance. “How can they form a strong government,” Shah questioned. “We have more than 26 parties with us in the NDA. On the other hand, there is a grand alliance, which is fake. All these parties under Congress’ leadership do not have even a leader and a positive agenda for development,” Shah said. Talking about the upcoming Lok Sabha Elections 2019, Amit Shah showed confidence in the BJP’s victory at the centre. He asserted that “Under the leadership of Modi ji, we are working for New Odisha. What is “New Odisha”? Where no one is unemployed, better medical facilities are available and no one is below the poverty line,” he said.